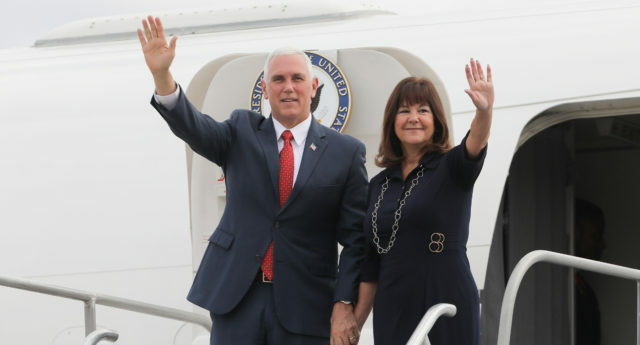 Vice President Mike Pence is offended at the criticism of his wife Karen Pence’s decision to teach at a school in Virginia that discriminates against LGBT+ students and staff. “To see major news organisations attacking Christian education is deeply offensive to us,” Pence told a EWTN reporter on Thursday (January 17). 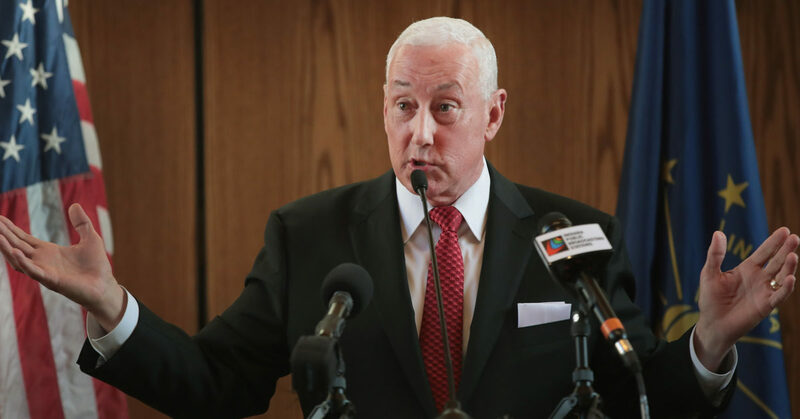 “We have a rich tradition in America of Christian education and frankly religious education broadly defined,” he continued, ignoring the issue of discrimination against LGBT+ people and framing the debate in terms of religious freedoms. “This criticism of Christian education in America should stop,” he added. The interviewer did not ask any further questions addressing the specific concerns of the LGBT+ community and moved on to discuss America’s participation in the conflict in Syria, letting Pence off the hook. 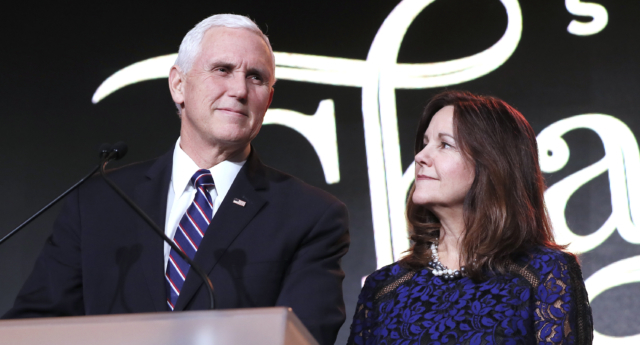 His view contrasted the vice president’s record on LGBT+ rights, which shows Pence has consistently opposed LGBT+ protections from discrimination, largely in view of his support for religious freedoms. An alumnus of the school who is an out gay man, Luke Hartman, spoke of the lasting mental health damage the school’s anti-LGBT policies caused him. “As an alumnus of Immanuel Christian School, I am a living example that intolerance, both in policy and rhetoric, are harmful to the mental wellness and development of LGBTQ students, who are desperately looking for ways to fit in,” Hartman said in a statement provided to the press via LGBT+ group The Trevor Project.